Bonus – Learn how to reduce overwhelm today! Feel calmer and more balanced with this mindfulness strategy. 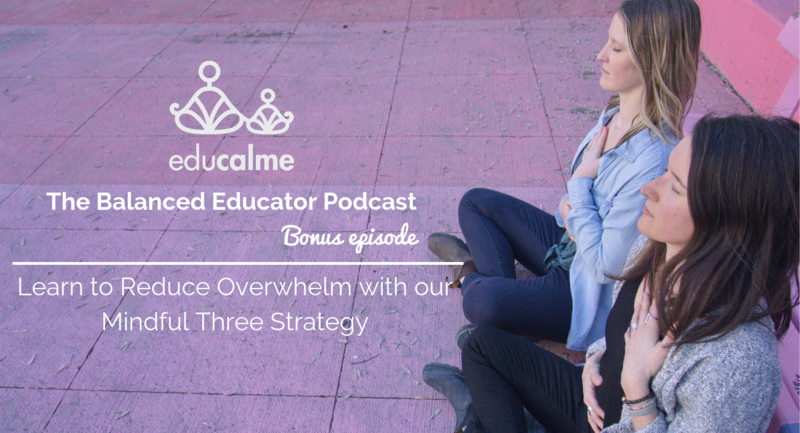 In this bonus episode of The Balanced Educator Podcast, we’re sharing our popular online workshop Educators: Learn how to reduce the feeling of overwhelm today. Feel calmer and more balanced with this strategy. If you enjoy this episode, you’ll love our online course Educalme Teacher where we help busy teachers gain a sustainable work-life balance. In this 4 week, live, online program, we guide our Educalme Teachers in instilling mindful habits and mindsets that reduce feelings of overwhelm and create more calm, joy and balance. Registration closes on January 10th at 11:59 pm CST.